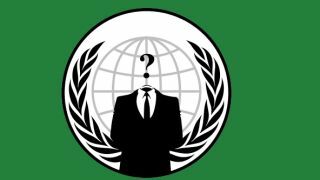 A seasoned member of the hacking collective known as Anonymous has spoken out about the huge split within the group. The veteran, interviewed by The Daily Beast, says the group is not the well-oiled, single-minded machine, purely focused on sticking it to the man, as many believe it to be. Instead he and many others want nothing to do with political agendas and wish simply to continue the notorious and crude 4Chan.org website's tradition of unrelenting online malice just for the "Lulz." The subject William (not his real name) says the mask-wearing members of the hactivist movement, who have taken on big companies and government institutions are nothing but "a joke." "Before people thought we were a spiteful, Internet hate machine. Before you could revel in being a real p***k," says William. "Now people think we're vigilantes and care about stuff." "Some men just want to watch the world burn," he adds, throwing in a The Dark Knight quote about The Joker and distancing himself from the moral righteousness of Anonymous and splinter group LulzSec. The current splits is Batman vs The Joker, Parmy Olson, the interviewer and author of the book We are Anonymous points out. William is no Batman. The keen SWATing (using 911 hoaxes to send SWAT teams to the houses of innocents) enthusiast adds that he misses the mean spirited fun and bemoans the policy of letting anyone join the group. "It was a lot smaller and more structured [in the past]. You had to be accepted. Now anyone can join Anonymous." Finally he adds: "I don't think [Anonymous] can change much in the world."